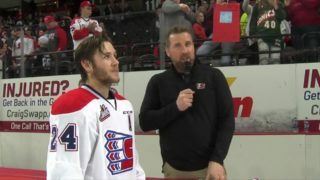 KENNEWICK, Wash. – Jaret Anderson-Dolan scored 3:51 into overtime to lift the Spokane Chiefs to a 5-4 win over the Tri City Americans on Friday night in Kennewick. It was the sixth time in 10 meetings this season that the two teams have gone into overtime, with Spokane winning four. 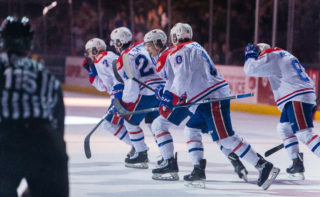 The victory was Spokane’s fourth consecutive win and moved them within two points of second place Portland after the Winterhawks’ loss to Seattle. Spokane jumped out to a 1-0 lead on an Ethan McIndoe power play goal from Kailer Yamamoto and Anderson-Dolan 9:03 into the game. Dalton Hamaliuk scored his fourth goal of the season just 36 seconds later on assists from Hudson Elynuik and Eli Zummack to make it 2-0 Chiefs. Tri-City would tie the game on goals from Jordan Topping and Morgan Geekie in the last eight minutes of the period to make it a 2-2 game after one. 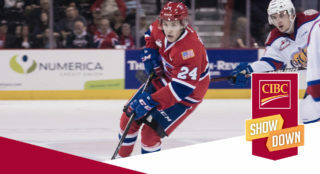 The Americans took their first lead of the night five minutes into the second on a Dylan Coghlin goal, but Spokane answered with a power play score from Czech defenseman Filip Kral 17:24. Nolan Reid picked an assist for his first of two points on the night. Tri-City re-took the lead on Geekie’s second goal of the night 50 seconds into the third period to make it 4-3 Americans. 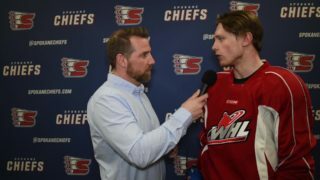 The Chiefs came right back as Reid scored his 13th of the year at 5:35, somehow sneaking the puck through traffic and under starting Tri-City netminder Patrick Dea to tie the game at 4-4 and eventually send it to overtime. In the OT frame, goalie Dawson Weatherill preserved the tie on a spectacular save on Coghlin, shutting down a back door play midway through the five-minute extra period. 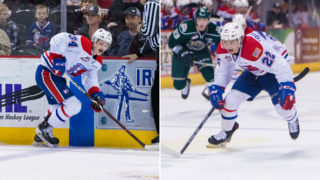 Anderson-Dolan stole a Juuso Valimaki pass just beyond the Tri-City blue line, walked it in and snapped a shot through Dea’s pads for his team-leading 35th goal of the season. sealing the win for Spokane. Up next: The Chiefs will visit the B.C. Division-leading Kelowna Rockets Saturday night at 7 p.m. Mike Boyle will have the call on 94.1 FM the Bear starting with the pre-game show at 6:30. 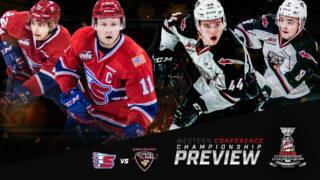 The Chiefs’ next home game is Saturday, March 10 against the Vancouver Giants! It’s Coca-Cola Kailer Yamamoto Bobblehead Giveaway Night with the first 2,000 fans through the gates receiving a Kailer Yamamoto bobblehead! Tickets are available in-person at the Chiefs’ Ticket Office during regular business hours, over-the-phone at 509-535-PUCK and online here.